We provide a comprehensive range of services from architectural design to space creation & master planning to interior fit-out. With ColeBuild, expect a first-in-class service and trusted partner in construction. We have the resource, experience and track record to undertake all sizes of projects. With a comprehensive range of services, we are focused on meeting your business needs and delivering the project on time, every time. I would like to thank ColeBuild Team rebuilding our corner terrace so well! They were always prompt and timely with their service and they kept up-to-date on the progress and were always ready and available to answer my questions. Everything went correctly and they are very responsible and efficient. Had no worries when they are handling our house. I would definitely recommend ColeBuild to our friends, family or anyone who needs quality work on budget. I would like to express my sincerest appreciation for your professional service.You show signs of commitment and seriousness in your work. Thank you very much for your effort. 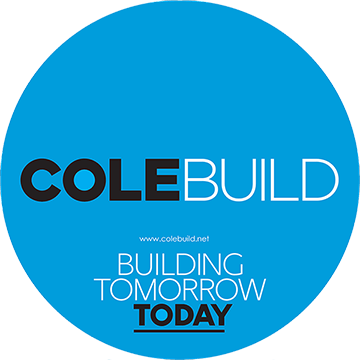 We would not hesitate to recommend Colebuild. ColeBuild provided us with prompt service and gave me excellent effort that were helpful in planning my house reconstruction. The quality of the work was very good and showed high quality with the attention to details. They were also very friendly for the customer’s requests. I am very happy with their finishing. ColeBuild construction team listens and works with the client, very easy to work with! Good quality and completed on time! Thank you, Colebuild! © Copyright 2018 ColeBuild Singapore.